I love your seminars..you are a true educator genius!! With these cds, Accelerated Learning expert, Dr. Ivan Barzakov PH.D. incorporates 35 years of work by famed Bulgarian psychiatrist Dr. George Lozanov, with his own expanded and updated techniques. 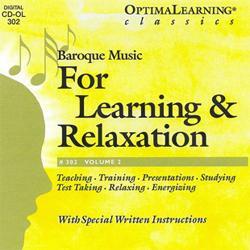 These classical music cds provide optimal brain/mind stimulation and inspiration. The inherent harmonies and structures within the music are being synchronized with specific neurophysiological mechanisms of the brain. Feel how the beauty of great music provides optimal enjoyment and multiple benefits. Each cd offers 2 carefully crafted easy to use techniques with written instructions and concise information.